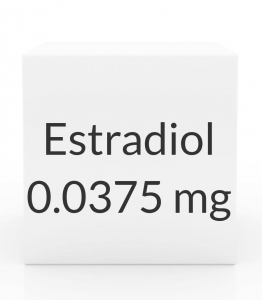 PRECAUTIONS: Before using estradiol, tell your doctor or pharmacist if you are allergic to it; or if you have any other allergies. This product may contain inactive ingredients, which can cause allergic reactions or other problems. Talk to your pharmacist for more details. Before using this medication, tell your doctor or pharmacist your medical history, especially of: vaginal bleeding of unknown cause, certain cancers (such as breast cancer, cancer of the uterus/ovaries), blood clots, stroke, heart disease (such as heart attack), liver disease, kidney disease, family medical history (especially breast lumps, cancer, blood clots, angioedema), blood clotting disorders (such as protein C or protein S deficiency), high blood pressure, diabetes, high cholesterol/triglyceride levels, obesity, lupus, underactive thyroid (hypothyroidism), mineral imbalance (low or high level of calcium in the blood), a certain hormone problem (hypoparathyroidism), uterus problems (such as fibroids, endometriosis), gallbladder disease, asthma, seizures, migraine headaches, a certain blood disorder (porphyria), mental/mood disorders (such as dementia, depression). Do not smoke or use tobacco. Estrogens combined with smoking further increases your risk of stroke, blood clots, high blood pressure, and heart attack, especially in women older than 35. Tell your doctor if you just had or will be having surgery, or if you will be confined to a chair or bed for a long time (such as a long plane flight). These conditions increase your risk of getting blood clots, especially if you are taking an estrogen product. You may need to stop this medication for a time or take special precautions. This drug may cause blotchy, dark areas of the skin on the face (melasma). Sunlight may worsen this effect. Avoid prolonged sun exposure, tanning booths, and sunlamps. Use a sunscreen and wear protective clothing when outdoors. If you are nearsighted or wear contact lenses, you may develop vision problems or trouble wearing your contact lenses. Contact your eye doctor if these problems occur. If you are going to have an MRI test, tell testing personnel that you are using this patch. Some patches may contain metals that can cause serious burns during an MRI. Ask your doctor whether you will need to remove your patch before the test and apply a new patch afterward, and how to do so properly. Children may be more sensitive to the side effects of this drug. It may affect their growth/development. Discuss the possible effects of this medication with the doctor, and monitor your child\'s growth periodically. This medication must not be used during pregnancy. If you become pregnant or think you may be pregnant, tell your doctor immediately. This medication passes into breast milk. It may reduce the quality and amount of breast milk produced. Consult your doctor before breast-feeding. DRUG INTERACTIONS: Drug interactions may change how your medications work or increase your risk for serious side effects. This document does not contain all possible drug interactions. Keep a list of all the products you use (including prescription/nonprescription drugs and herbal products) and share it with your doctor and pharmacist. Do not start, stop, or change the dosage of any medicines without your doctor\'s approval. Some products that may interact with this drug include: aromatase inhibitors (such as anastrozole, exemestane, letrozole), fulvestrant, ospemifene, raloxifene, tamoxifen, toremifene, tranexamic acid. This medication may interfere with certain laboratory tests (including metyrapone test), possibly causing false test results. Make sure laboratory personnel and all your doctors know you use this drug. OVERDOSE: This medication patch may be harmful if chewed or swallowed. If overdose or swallowing is suspected, remove the patch if possible, and contact a poison control center or emergency room immediately. US residents can call their local poison control center at 1-800-222-1222. Canada residents can call a provincial poison control center. NOTES: Do not share this medication with others. Keep all regular medical and laboratory appointments. You should have regular complete physical exams (for example, once a year) which include laboratory and medical tests (such as blood pressure, breast exam/mammogram, pelvic exam, pap smear) to monitor your progress and check for side effects. Follow your doctor\'s instructions for examining your own breasts, and report any lumps right away. Consult your doctor for more details. Preventing or controlling high blood pressure, high cholesterol, and diabetes can help to reduce your chances of heart disease and stroke. Lifestyle changes that can help to control or prevent these diseases include reducing stress, eating a low fat/salt diet, losing weight if overweight, exercising regularly, and stopping smoking. Keep your mind active with mental exercises (such as reading, solving crossword puzzles) to help prevent dementia. Talk to your doctor about lifestyle changes that might benefit you. Lifestyle changes that may help reduce hot flashes include stopping smoking, dressing lightly or in layers, avoiding/limiting certain foods (spicy foods, caffeine, alcohol), reducing stress, and exercising regularly. Lifestyle changes that help promote healthy bones include increasing weight-bearing exercise, stopping smoking, limiting alcohol, and eating well-balanced meals that contain adequate calcium and vitamin D. Since you may also need to take calcium and vitamin D supplements and make lifestyle changes, consult your doctor for specific advice. Information last revised June 2014. Copyright(c) 2014 First Databank, Inc.